Should 'Group Discussion' be compulsory in Hiring process? Group Discussion Ideas > General GD Topics > Should ‘Group Discussion’ be compulsory in Hiring process? Should ‘Group Discussion’ be compulsory in Hiring process? GD or ‘Group Discussion’ is a methodology conducted mainly by organizations to test a person’s eligibility and skills for a particular job. This practice is evolved from USENET in the early 80’s. A list of skills are tested among which communication skills, leadership skills, interpersonal skills, analytical skills, reasoning ability, assertiveness, flexibility and creativeness are judged. GD is more commonly practiced in areas of corporate jobs or technical ones, in entrance tests to some institutes or organizations and recruitments. Nowadays, mostly every company sends its short listed employees through a GD to analyze their skills, capabilities and personalities to some extent. GD is a good medicine for those who are shy and unsocial or introverts who prefer their own company. Taking them through a process where human interaction and public speaking is required, will burst that bubble and arouse confidence within them which is required for an office environment. Group Discussions prepares the employees for a corporate life where they have to be excellent at speaking skills, efficient in interaction with bosses and clients, lead meetings and much more. GD proves to be the tutorial to these types of jobs and hence, it is a very crucial part to be tested before hiring. A corporate company would never like to hire an inefficient employee who would be a disaster in communicating and waste their revenues. Every job requires teamwork, and for that, leadership skills, proper etiquette and communication skills are required. GD keeps a check on all these qualities within an employee. Thus, a GD before hiring will be beneficial to companies that lead projects as a team in coordination. As GD involves communication along with proper reasoning, it instills confidence to speak opinions as well as gives the ability to think from new dimensions about topics and expand their knowledge from the others. It also prepares one for interviews in the future. With such advantages in hand, GD can be made compulsory for hiring. For a technical based job, a group discussion seems redundant. A person with proper technical knowledge might be bad at GDs, and may get rejected for the job causing a loss for the company. A GD is well and fine for a corporate based job, but not for technical jobs where meetings and discussions are rare. It follows from the previous point that a GD should not be the ultimate screening for hiring. GD can be a part of the employing process but other skills and qualifications should be kept in mind while selecting the candidates. Making GD compulsory while hiring might be a loss in terms of quality for non-corporate jobs where educational and technical efficiency is required. For introverted and shy people, GD might be stressful at times. Stepping out of the comfort zone is always difficult and hence, GD seems very difficult for some people. Such an option for getting a job can be an additional burden. 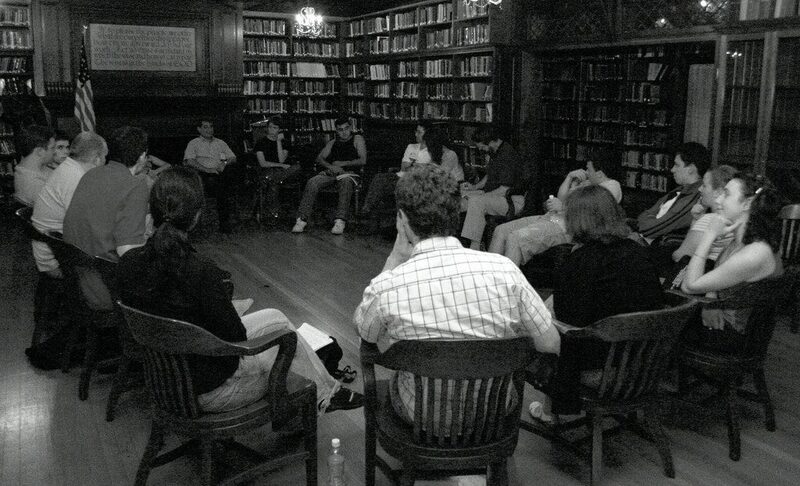 A Group Discussion is more of a technique than a test. It can be a way to find out a person’s attitude, personality, etiquette, potential and knowledge about the topic related to his job. The practice of group discussions has been going on in institutes and colleges which prepare the students for an actual interview beforehand. However, GD should be made compulsory where communication requirements and interactions are mandatory instead of making it compulsory for every job. Afterwords :- Feel free to comment your opinions in the comments section below. Subscribe to our blog to get new topics delivered to your mail.